Step out of the city life by going to River Rafting & Tubing and Clingmans Dome. Step off the beaten path and head to Zipline and The Old Mill. Change things up with these side-trips from Knoxville: Great Smoky Mountains National Park (Roaring Fork Motor Nature Trail & Cades Cove), Homesteads Tower Museum (in Crossville) and Gatlinburg (Fowler's Clay Works, Ole Smoky Tennessee Moonshine, & more). There's lots more to do: admire the sheer force of Tuckaleechee Caverns, don't miss a visit to Sam Houston Historic Schoolhouse, and find something for the whole family at Smoky Mountain Alpine Coaster. To find reviews, other places to visit, photos, and tourist information, go to the Knoxville trip planner. Jackson to Knoxville is an approximately 4-hour flight. You can also drive; or take a bus. The time zone changes from Central Standard Time to Eastern Standard Time, which is usually a 1 hour difference. Traveling from Jackson in June, plan for little chillier nights in Knoxville, with lows around 66°F. Wrap up your sightseeing on the 28th (Fri) early enough to drive to Roanoke. Roanoke is an independent city in the U.S. Museum-lovers will appreciate Highland County Museum and Lee Chapel and Museum. You'll discover tucked-away gems like Blue Ridge Parkway and McDowell Battlefield. Explore Roanoke's surroundings by going to Sinking Creek Covered Bridge (in Newport), Presbyterian Cemetery (in Lynchburg) and Appomattox (Appomattox Court House National Historical Park & McLean House). Next up on the itinerary: look for all kinds of wild species at Virginia Safari Park, see the interesting displays at O. Winston Link Museum, get engrossed in the history at Brownsburg Museum, and play a few rounds at Pete Dye River Course of Virginia Tech. To find where to stay, reviews, photos, and tourist information, refer to the Roanoke day trip site . Getting from Knoxville to Roanoke by car takes about 4.5 hours. Other options: fly; or take a bus. In June, daytime highs in Roanoke are 84°F, while nighttime lows are 64°F. Finish your sightseeing early on the 3rd (Wed) so you can travel to New London. New London is a town in Merrimack County, New Hampshire, United States. Wright Museum of WWII and New London Historical Society will appeal to museum buffs. Get some cultural insight at Flume Gorge and Museum of the White Mountains. Explore New London's surroundings by going to Hermit Woods Winery (in Meredith), Mount Major State Forest (in Alton Bay) and Welton Falls (in Alexandria). Spend the 8th (Mon) exploring nature at Marsh - Billings - Rockefeller National Historical Park. There's lots more to do: contemplate the waterfront views at Cascade Falls, contemplate the long history of Morrill Homestead, get interesting insight from Tours, and pause for some photo ops at Saint-Gaudens National Historic Site. To find photos, ratings, reviews, and tourist information, go to the New London journey builder tool . The Route module can help you plan travel from Roanoke to New London. Traveling from Roanoke in July, plan for slightly colder nights in New London, with lows around 59°F. Wrap up your sightseeing on the 8th (Mon) early enough to travel to New York City. Franklin D. Roosevelt Presidential Library and Museum and Val-Kill Cottage will appeal to history buffs. Your cultural itinerary includes sights like Home of Franklin D. Roosevelt and Time and the Valleys Museum. Explore the numerous day-trip ideas around New York City: The Museum at Bethel Woods (in Bethel), Vanderbilt Mansion National Historic Site (in Hyde Park) and Milford (Cornelia & Florence Bridge Nature Preserve & Grey Towers National Historic Site). There's more to do: see the interesting displays at Luna Parc and hunt for treasures at Chelsea Market. To see other places to visit, more things to do, and more tourist information, read our New York City online holiday planner . You can drive from New London to New York City in 5 hours. Alternatively, you can fly. Traveling from New London in July, plan for somewhat warmer nights in New York City, with lows around 72°F. Wrap up your sightseeing on the 12th (Fri) early enough to take a train to Philadelphia. Take a break from the city and head to Cape May City Beaches and Wildwood Beach. Popular historic sites such as Cape May Lighthouse and Independence National Historical Park are in your itinerary. Venture out of the city with trips to Ocean City (Stand-Up Paddleboarding & Parasailing & Paragliding) and Stone Harbor Point (in Stone Harbor). And it doesn't end there: ponder the world of politics at Independence Hall, admire the masterpieces at Barnes Foundation, appreciate the history behind Liberty Bell Center, and examine the collection at Grand Lodge of Pennsylvania. For more things to do, traveler tips, and tourist information, use the Philadelphia trip planner . You can take a train from New York City to Philadelphia in 2 hours. Alternatively, you can drive; or take a bus. In July in Philadelphia, expect temperatures between 88°F during the day and 72°F at night. Cap off your sightseeing on the 17th (Wed) early enough to catch the train to Baltimore. Escape the urban bustle at Harpers Ferry National Historical Park and Fort McHenry National Monument. Let the collections at Gettysburg National Military Park Museum & Visitor Center and Smithsonian National Museum of Natural History capture your imagination. Change things up with these side-trips from Baltimore: Steven F. Udvar-Hazy Center (in Chantilly), Gettysburg National Military Park (in Gettysburg) and Washington DC (Vietnam Veterans Memorial, United States Holocaust Memorial Museum, & more). There's more to do: explore the different monuments and memorials at Arlington National Cemetery. For other places to visit, maps, reviews, and tourist information, go to the Baltimore tour app . Take a train from Philadelphia to Baltimore in 1.5 hours. Alternatively, you can drive; or take a bus. In July in Baltimore, expect temperatures between 89°F during the day and 74°F at night. Finish up your sightseeing early on the 21st (Sun) so you can travel to Birmingham. Visit Shrine of the Most Blessed Sacrament and Historic Mooresville for their historical value. 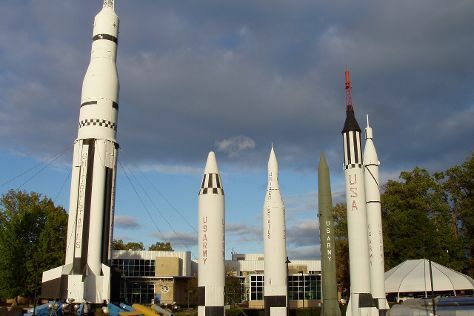 Your cultural itinerary includes sights like U.S. Space and Rocket Center and Anniston Museum of Natural History. Venture out of the city with trips to Paul W. Bryant Museum (in Tuscaloosa), Crooked Creek Civil War Museum (in Vinemont) and Cullman (St. Bernard Abbey & Ave Maria Grotto). There's lots more to do: see the interesting displays at Aliceville Museum, explore the galleries of Moundville Archaeological Park, explore the landscape on two wheels at Rotary Trail, and get engrossed in the history at Berman Museum of World History. To find maps and tourist information, read Birmingham trip planner. You can fly from Baltimore to Birmingham in 5 hours. Other options are to do a combination of train and flight; or drive. Due to the time zone difference, you'll gain 1 hour traveling from Baltimore to Birmingham. July in Birmingham sees daily highs of 90°F and lows of 72°F at night. Wrap up your sightseeing on the 26th (Fri) early enough to take a bus back home.